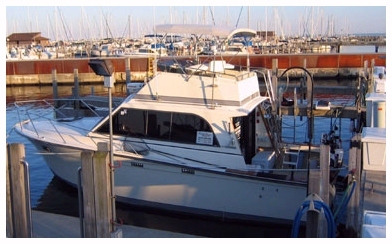 Enjoy fishing beautiful Lake Michigan for Salmon and Trout with Captain John Wagner aboard his fully equipped 33 foot Pacemaker sport fishing charter boat. 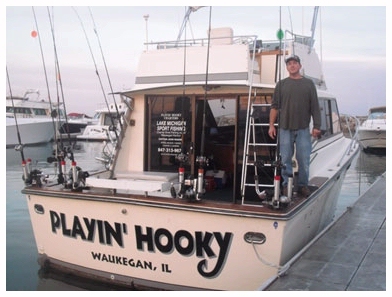 The Playin' Hooky is a twin engine 540 horse power, 33 foot long, 14 foot wide fiberglass fishing boat, manufactured by Pacemaker. 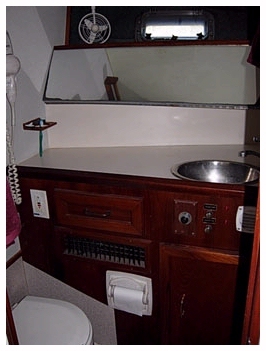 It has an enclosed spacious cabin with private head. 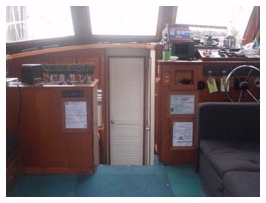 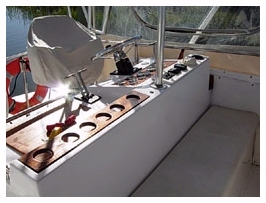 It features an open air fly deck with sun shade and can cruse at 15 to 17 knots. 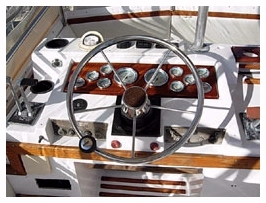 We carry all Coast Guard approved safety equipment and life preservers for your utmost safety and comfort. 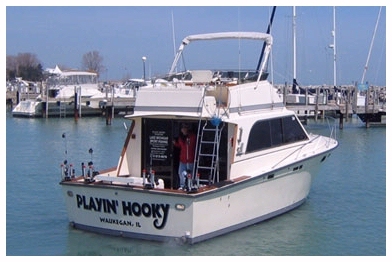 Illinois Salmon Fishing Charter, Chicago Salmon Charter, Fishing Charter Chicago, fishing aboard the Playin' Hooky charter boat for Salmon and Trout.